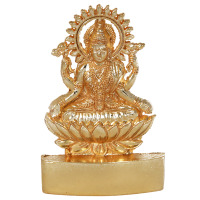 This goddess faced wall hanging is sure to create a positive ambience and eliminate any negative energy within your home. 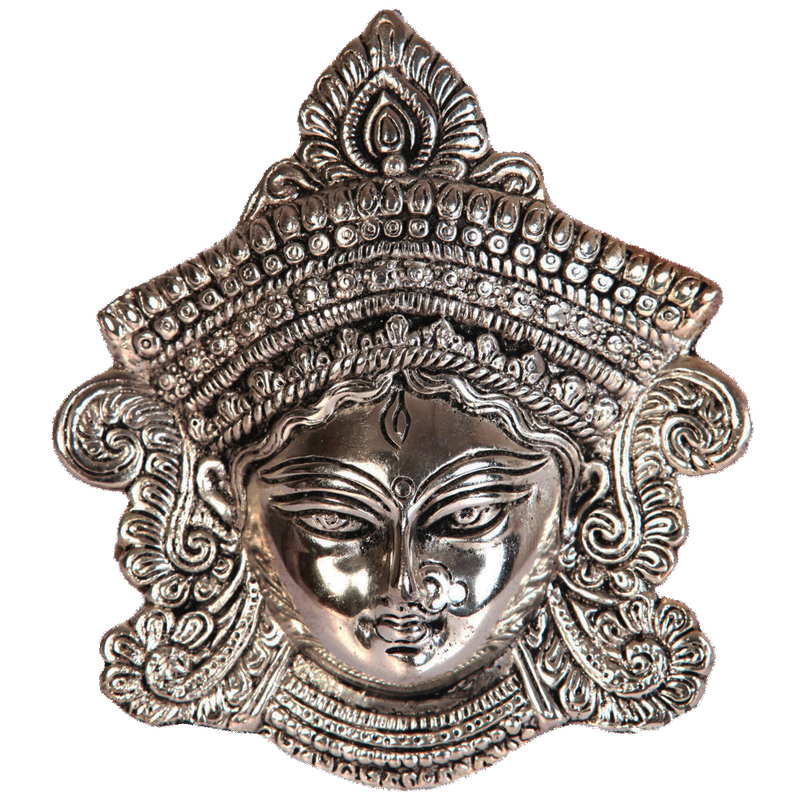 Made from oxidized silver, the Read More..wall hanging depicts the calm and serene face of Goddess Kali along with all the adornments that grace her beautiful face inscribed as self carvings. 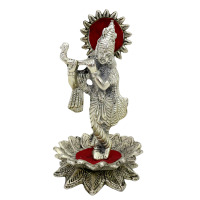 Show Less..
Radha Krishna with cow statue in oxidised metal with base. 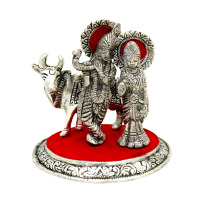 Amazingly crafted, a work of art is what this radha krishna with a cow on base statue is in its truest sense. 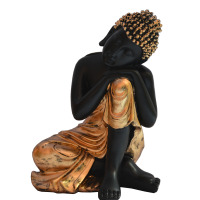 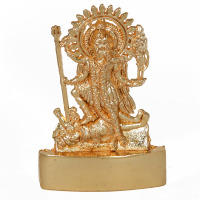 Krishna in standing position on lotus top, is a oxidised metal statue with finely detailed patterns.